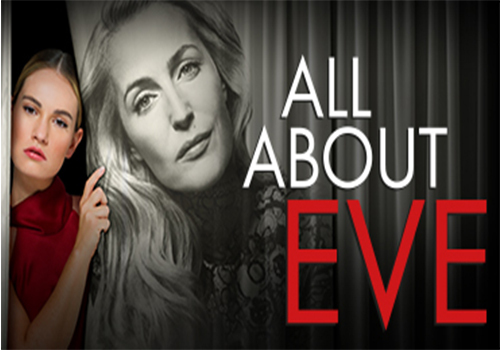 Gillian Anderson and Lily James star in All About Eve, a new stage adaptation of the classic 1950 film starring Bette Davis. Directed by the forward-thinking Ivo Van Hove and featuring the music of PJ Harvey, this tale of two actresses whose lives intertwine promises to make for an exceptional night at the West End’s Noël Coward Theatre. Golden Globe-winner Clive Owen returns to the West End to star in a rare revival of Tennessee Williams’ strange play The Night of the Iguana at the Noel Coward Theatre. Anna Gunn and Lia Williams also star. The Night of the Iguana runs from 6th July - 28th September. Catch the Tony Award-winning DEAR EVAN HANSEN when it arrives at Noël Coward Theatre in November 2019. This musical tale of an anxious kid and a lie that grows out of control is both moving and affirming. It is directed by Michael Greif and boasts a score written by composers Benj Pasek and Justin Paul. The Noel Coward Theatre box office is located within the theatre building and is open from 10am – 7.45pm Monday to Saturday. Pre-purchased tickets can be collected from the theatre’s box office in the hour before the performance is due to start. Customers will need to bring the card they used to make the purchase as well as their booking reference. Originally dubbed the New Theatre, the venue was built by Sir Charles Wyndham as a pair with Wyndham's Theatre and first opened in 1903, with a production of Rosemary starring Charles Wyndham and his wife, Mary Moore. Early years saw the theatre host a range of dramatic texts, including Coward's first play I'll Leave it to You (1920) and George Bernard Shaw's St. Joan (1924). Throughout the 1930's John Gielgud's prolific career was launched at the New Theatre, starring in and directing plays including Richard of Bordeaux (1933) and Romeo and Juliet. During the Second World War, surrounding theatres were affected by the Blitz, with the Old Vic and Sadler's Wells in-house companies seeking refuge at the New Theatre, making it their home until the 1950's. One of the theatre's most successful productions was Lionel Bart's musical Oliver! (1960), which played for an impressive 2,618 performances. Further notable productions included London Assurance (1972), starring Judi Dench, the Olivier Award-winning Children of a Lesser God (1981) and A Month in the Country (1994), starring Helen Mirren and John Hurt. During the 2000's, a range of productions passed through the theatre, including Endgame (2004), starring Michael Gambon and Lee Evans, Suddenly Last Summer (2004), starring Diana Rigg and an Indian production of Twelfth Night, which played to packed-out audiences, before the Royal Shakespeare Company moved in with their season, including Hamlet, Romeo and Juliet, Macbeth, King Lear and Hecuba (2004-2005), starring Vanessa Redgrave. After a three-month dark period, the theatre was bought by Delfont Mackintosh, opening with flop Ducktastic! (2005). Following productions featured Harold Pinter's Celebration (2005), A Christmas Carol (2005), starring Patrick Stewart and Blackbird (2006). In 2006, award-winning Broadway musical Avenue Q transferred to the theatre, playing for three years before transferring to the Gielgud Theatre. Following the departure of Avenue Q, the theatre hosted Calendar Girls (2009-2010), Enron (2010), Deathtrap (2010-2011), starring Simon Russell Beale, Million Dollar Quartet (2011-2012), Noel Coward's Hay Fever (2012), starring Olivia Colman, Gatz (2012), the RSC's Julius Caesar (2012), Much Ado About Nothing (2012), starring Meera Syal and a Russian-language Uncle Vanya (2012). Director Michael Grandage brought his multi-award winning season to the Noel Coward Theatre, featuring stellar productions including Privates on Parade (2012-2013), starring Simon Russell Beale, Peter and Alice (2013), starring Judi Dench and Ben Whishaw, Martin McDonagh's The Cripple of Inishmaan (2013), starring Daniel Radcliffe, A Midsummer Night's Dream (2013), starring Sheridan Smith and David Walliams and Shakespeare's Henry V (2013-2014), starring Jude Law. After this hugely acclaimed season, popular musical The Full Monty (2014) sashayed into the venue, followed by Imelda Staunton in Good People (2014) and a year-long run of Tom Stoppard's Shakespeare in Love (2014-2015), an RSC transfer of Death of a Salesman (2015), starring Anthony Sher, and magic show Impossible (2015), which wowed audiences with its mind-blowing tricks. Michael Grandage returned to the venue in 2015 with Anna Ziegler's Photograph 51, starring Nicole Kidman. Kidman went on to win multiple awards for her role as Rosalind Franklin, who helped to discover the double helix in DNA. Awards included the Evening Standard Theatre Award for Best Actress, the WhatsOnStage Award for Best Actress in a Play and the play earned the WhatsOnStage Award for Best New Play. Productions since have included Dickens' A Christmas Carol (2015-2016), starring Jim Broadbent, new British musical Mrs Henderson Presents (2016), starring Tracie Bennett, Emma Williams and Ian Bartholomew and the return of magic show Impossible (2016). The year rounds off with a Chichester Festival Theatre transfer of Cameron Mackintosh's critically-acclaimed revival of Half a Sixpence, starring newcomer Charlie Stemp. After announcing closure in October 2017, Half a Sixpence was replaced by James Graham's latest political comedy Labour of Love, starring Martin Freeman and Sarah Lancashire. 2018 opened with a transfer production of the Old Vic's critically acclaimed Bob Dylan musical Girl From the North Country, followed by another transfer of Chichester Festival Theatre's Quiz, by James Graham. The Michael Grandage Company also bring a new season to the stage in 2018, with the Noel Coward Theatre hosting Aidan Turner in Martin McDonagh's The Lieutenant of Inishmore. The Young Vic's popular two-parter The Inheritance arrived at the theatre at the end of 2018. 2019 sees film All About Eve adapted into a play directed by Ivo Van Hove and starring Gillian Anderson and Lily James. 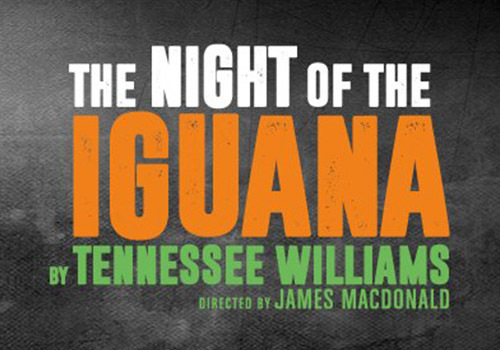 A rare revival of Tennessee Williams play The Night of the Iguana plays from July 6th, starring Clive Owen and Lia Williams. 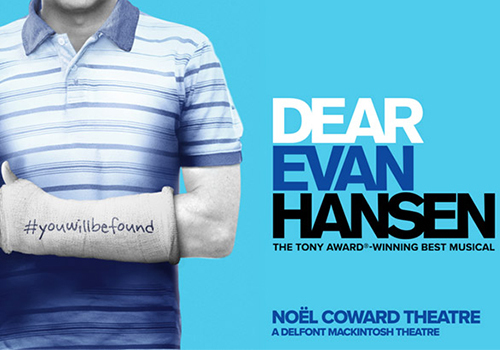 In the autumn, highly anticipated Tony Award-winning Broadway musical DEAR EVAN HANSEN will arrive at the theatre.